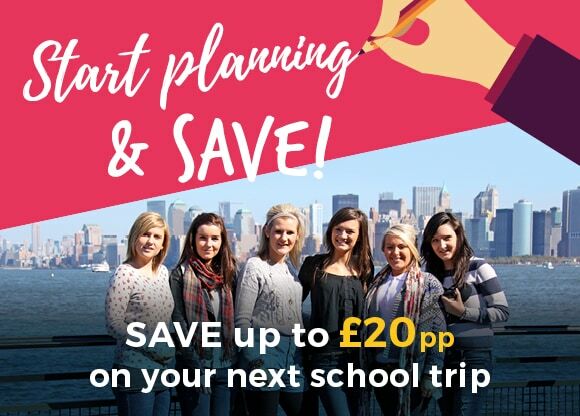 In today’s economic climate, we’re truly focused on bringing you - and parents - the best possible value school trips. We work hard to make parents’ money go further and budgeting easier with prices that are clear at the outset. Start planning & start making SAVINGS! £20 per person on tours to the USA, China, Morocco & Russia. £10 per person on tours to Europe. Inpire their future career at LIVE! New York - 18th February 2020. Our Business LIVE! & Art & Design LIVE! events combine a conference with LIVE! speaker presentations from industry experts & student workbook. Save £10pp on all UK & European destinations! Our destinations have been chosen with primary school groups in mind. Popular destinations incluce: London, York, Paris, Northern France & Barcelona & Catalonia. View our full range of primary school trip destinations here. 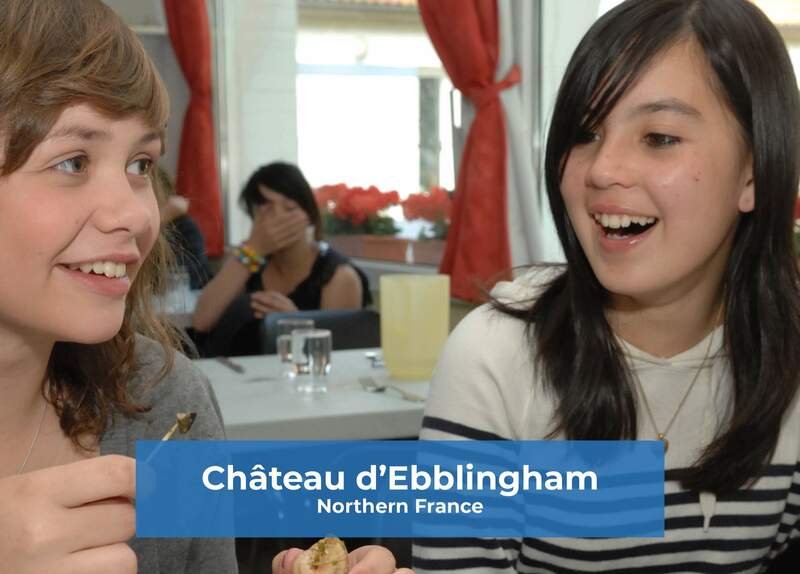 Set in a rural location and just 45 minutes from the Channel ports on the Opal Coast in Northern France, the Château d’Ebblinghem - NST’s exclusive school group accommodation - is ideal for school groups. This is the ideal accommodation base for trips to the WWI Battlefields, French language visits, music performances, primary school trips and cultural visits. 2 days start from just £109pp for our last remaining dates for departures between 1st Sept & 30th Nov 2019. You can view the latest prices here. 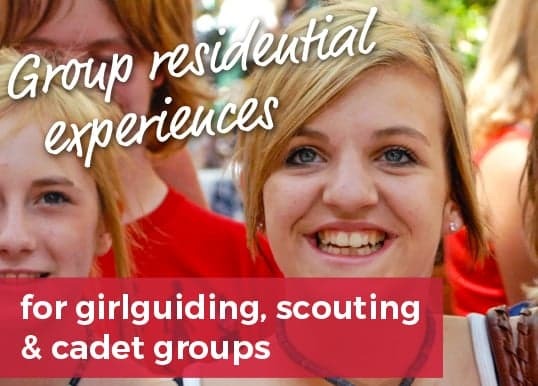 If you’re looking to create an unforgettable experience for your group, take a look at our range of group residentials designed to bring out the best in your group. WWI Battlefield trips for cadets - WWI Battlefield trips in Northern France & Belgium. Scouting French Adventure - Exciting range of fun and interactive visits in Northern France. Girlguiding French Adventure - Fun-filled trips for guiding groups in Northern France. Receive a £50 One4all gift card each! It’s simple – recommend a colleague or teacher from any school and when they book a tour with us, we’ll give you both a One4all gift card. Just send us a quick email with their name, school, contact details & teaching subject (if known) - and don’t forget your own name and school too! 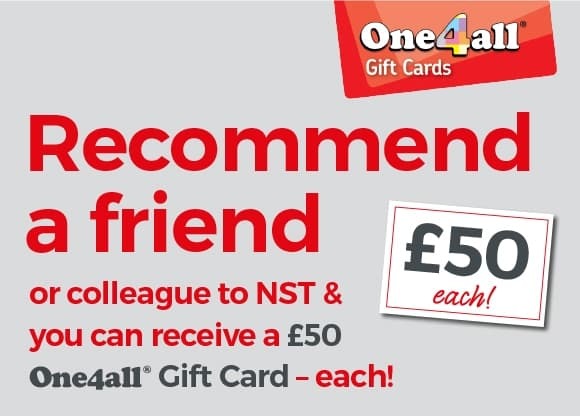 You must send your friend or colleague’s details to NST no later than 10 days after they’ve enquired - to be eligible for the vouchers. 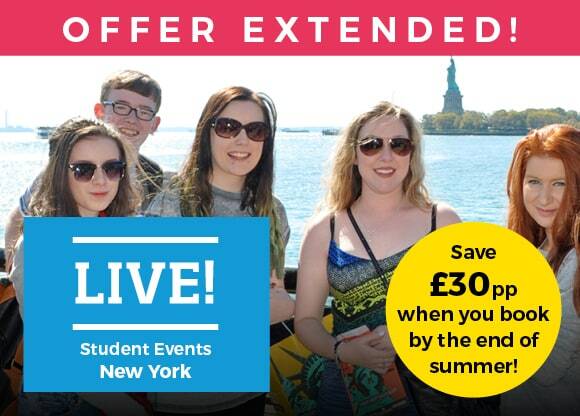 Save £20 per paying person on trips to USA, China, Morocco & Russia. To claim your discount you'll need to confirm your booking with first deposits by the end of May 2019. A minimum stay of 1 night is required. Discount is not applicable to day trips, transport only, accommodation only and visit only packages. Offer is applicable for all new enquiries from 26th March 2019 for trips departing from 1st September 2019 onwards. Save £10 per paying person on trips to European destinations excluding the UK. To claim your discount you'll need to confirm your booking with first deposits by the end of May 2019. A minimum stay of 1 night is required. Discount is not applicable to day trips, transport only, accommodation only and visit only packages. Offer is applicable for all new enquiries from 26th March 2019 for trips departing from 1st September 2019 onwards. Save £30 per paying person on Business LIVE! & Art & Design LIVE! 2020. To claim your discount you'll need to confirm your booking with first deposits by the end of May 2019. A minimum stay of 1 night is required. Discount is not applicable to day trips, transport only, accommodation only and visit only packages. Offer is applicable for all new enquiries from 26th March 2019. 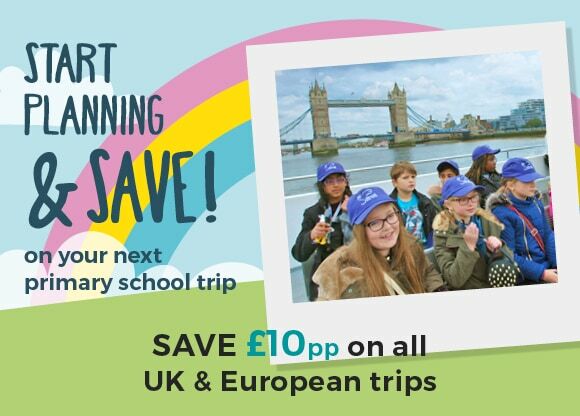 Save £10 per paying person on primary school trips to the UK. To claim your discount you'll need to confirm your booking with first deposits by the end of May 2019. A minimum stay of 1 night is required. Discount is not applicable to day trips, transport only, accommodation only and visit only packages. Offer is applicable for all new enquiries from 26th March 2019 for trips departing from 1st September 2019 onwards. Recieve a £50 One4all gift card. Friend must be a new customer to NST and book an NST tour. You will each receive a £50 One4all gift card on the first booking made as a result of the recommendation. Multiple recommendations are allowed. Recommender must have previously travelled with NST. If you pass your friend’s details to NST, you are confirming that you have obtained their consent. If friend has already enquired with NST and this enquiry is more than 10 days old at the time we receive your recommendation, both parties are not entitled to claim the offer. This offer is at the discretion of NST and can be withdrawn at any time. Loyalty reward terms & conditions: £5 discount per paying person for UK, European and long haul travel. Offer is available in the first consecutive year of travel onwards to the school or college taking the same subject based tour. A minimum of 3 nights is required for long haul travel and 1 night for UK and European travel. Maximum discount available is £5 per person. Inspection/Preview Visits terms & conditions: In order to provide you with further peace of mind for your school visit, we offer 2 nights bed and breakfast accommodation for 2 people in a twin room free of charge at, or near to, your booked accommodation. This enables you to plan your visit and answer any queries on your own risk assessments. Please contact us for further details and eligibility.